Please contact me regarding the 2011 International 4300 17FT REEFER BODY - Stock# HEJ/ALEX R 9/20/17 for sale at TruckerToTrucker.com. 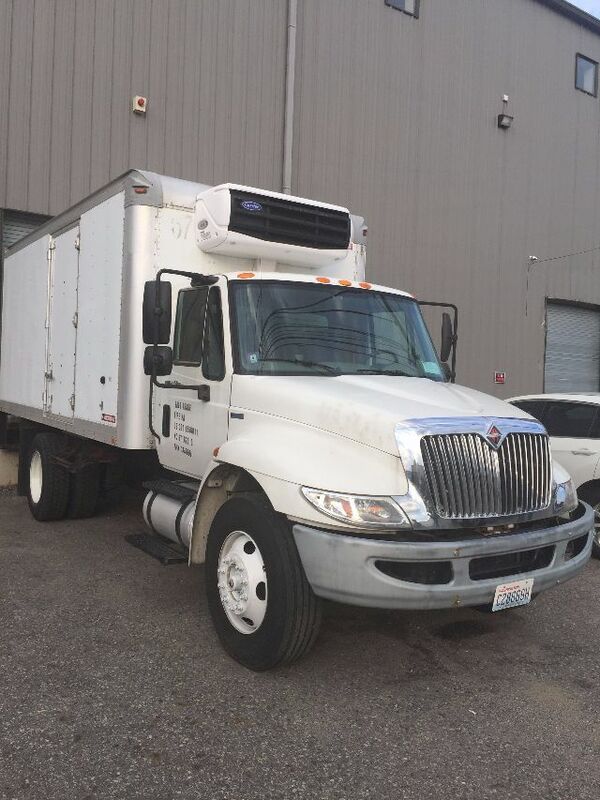 Take a look at this 2011 International 4300 17FT REEFER BODY. It is Stock# HEJ/ALEX R 9/20/17 at TruckerToTrucker.com. 25,999# GVWR, CHROME GRILLE, ALLISON 100HS FIVE (5) SPEED AUTOMATIC TRANSMISSION, HORIZONTAL EXHAUST, MORGAN 17' REFRIGERATED VAN BODY WITH 40X CARRIER UNIT THAT RUNS OFF THE TRUCK ENGINE, WOOD FLOOR, CURBSIDE DOOR, ROLL UP REAR DOOR, SCUFF, TWO (2) ROWS OF "E" TRACK ON SIDES WITH FULL PLYWOOD LINING, ALUMINUM WALK RAMP MOUNTED UNDER BODY & OTHER OPTIONS. FOB NEW YORK LOCATION. CONSIGNMENT LISTING FOR OWNER SELLING TRUCK DUE TO LOSS OF LEASE ON BUILDING! MAKE A REASONABLE OFFER FOR OWNER TO CONSIDER! CONTACT HAROLD JONES CELL 717-446-1335 WITH QUESTIONS.